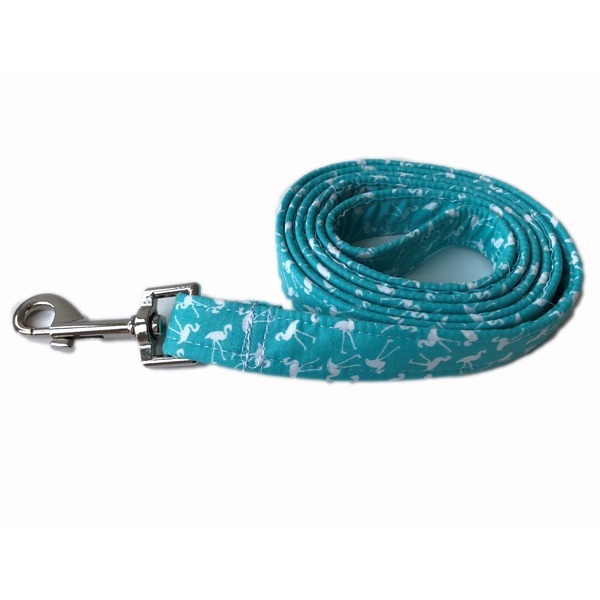 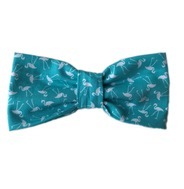 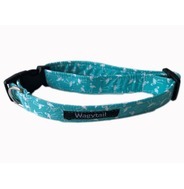 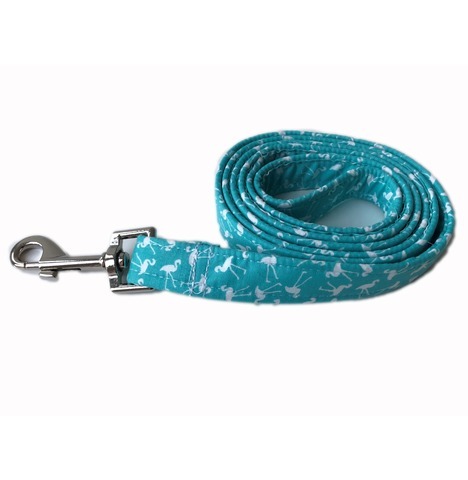 Our beautiful fun turquoise flamingo handmade lead is part of our new luxury range. 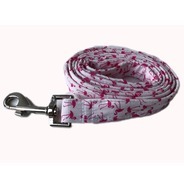 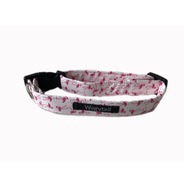 Made from strong webbing and then covered in 100% Cotton Poplin fabric, of the highest quality. 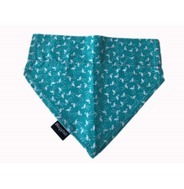 This fabric is absolutely stunning and also available in pink.